This post takes a look at the overall picture for bingo in the UK today: how it has evolved and why, who is playing and where, typical ages of the players, the overall socio-demographic profile, and information regarding how people play and with what regularity. It almost goes without saying that the picture of bingo in the UK has changed radically during the Internet age (broadly speaking, the last 20 years). Similarly, the advent of the smartphone and its mass adoption in the UK since 2008 and, more specifically, the mass adoption of Android Smartphones since 2010 (as depicted below) shifted the marketplace further still, due to the obvious removal of any restrictions as to where players are stationed. We will look later at the rapid uptake of online bingo and the impact of the mobile “revolution”. Firstly, however, we’ll look at the statistical evidence for the decline of the traditional physical bingo hall, along with other factors unrelated to shifts in technology which contributed to this decline. Although the 90-ball traditional bingo game has been popular in the UK since the First World War, it was previously primarily played for fun or as a fundraising activity. It wasn’t until the Betting and Gaming Act of 1960 that bingo became a legalised form of gambling. The first clubs were opened soon after, with Mecca Bingo alone seeing over 150,000 players a day visiting its halls in the mid-1960′s. By 1963, UK bingo club membership had reached an incredible 14 million. Companies were quick to capitalise on this explosion in popularity at a time when dance hall and cinema numbers were in decline. The Rank Corporation, for example, converted many of its Odeon and Gaumont cinemas into Top Rank Social Clubs, mainly for bingo, whilst Granada changed many of its theaters to “Granada Social Clubs” for precisely the same purpose. By the mid-1980′s, there were around 1,600 bingo venues in the UK. In 1988, the first of the out-of-town purpose-built bingo halls appeared, giving players more modern facilities, easier access by road and better parking facilities. The launch of the National Lottery in 1994 very probably contributed (along with the afore-mentioned increased use of the Internet from the late 1990′s) to the number of bingo clubs falling by 21% between 1995 and 2000. Over a decade later, the UK smoking bans introduced in 2006 and 2007, almost certainly helped to hasten this decline (it is estimated that around half of all players attending bingo halls previously smoked during play). Furthermore, the tax regime was cited as being unfair to operators of traditional bingo halls, with profits taxed at 20%, compared with 12% on the price of a lottery ticket and 15% for bookmakers and fixed-odds gambling (although the figure was halved to 10% in the 2014 budget “to protect jobs and protect communities” according to Chancellor George Osborne). More recent statistics have not been encouraging for traditional bingo halls. According to the most recent figures published by the UK Gambling Commission, there are 615 licenced bingo premises, down by almost two-thirds over the last 30 years. Also, there are still 13,040 people employed in the industry, although this figure is down from around 19,000 over the last ten years, and down significantly from 18,495 in March 2011. The apparent discrepancy is probably explained by the “others” numbers including only dedicated premises in the case of the Mintel report. A brighter future for the traditional bingo hall? There are some signs, however, that the physical bingo halls are fighting back successfully in the era of the smartphone and Internet. UKbingo clubs still have an estimated 45 million visits per annum, and those attending are getting gradually younger. Also, January 2016 witnessed the first new UK opening of a bingo hall for seven years, a dedicated 1,000-seat bingo venue in Southampton. According to the BBC, industry experts anticipate that continually declining revenues for physical venues will be halted and reversed, and that players will spend above £30m per annum directly on playing bingo by 2019. These expectations are backed up by research group Mintel, who predict that aggregate spending in all UK bingo halls will increase from the £690m level recorded in 2014, to £728m by 2019, mainly due to the aforementioned halving in the duty levied on profits to 10%. What do we know about UK bingo players today? Overall, the picture regarding the online bingo industry in the UK is not a particularly clear one due to the absence of robust, objective statistical data (beyond the aggregate industry data provided by the UK Gambling Commission). It is necessary, therefore, to look at what evidence exists and to extrapolate as accurate a picture as we can from the data that does exist. 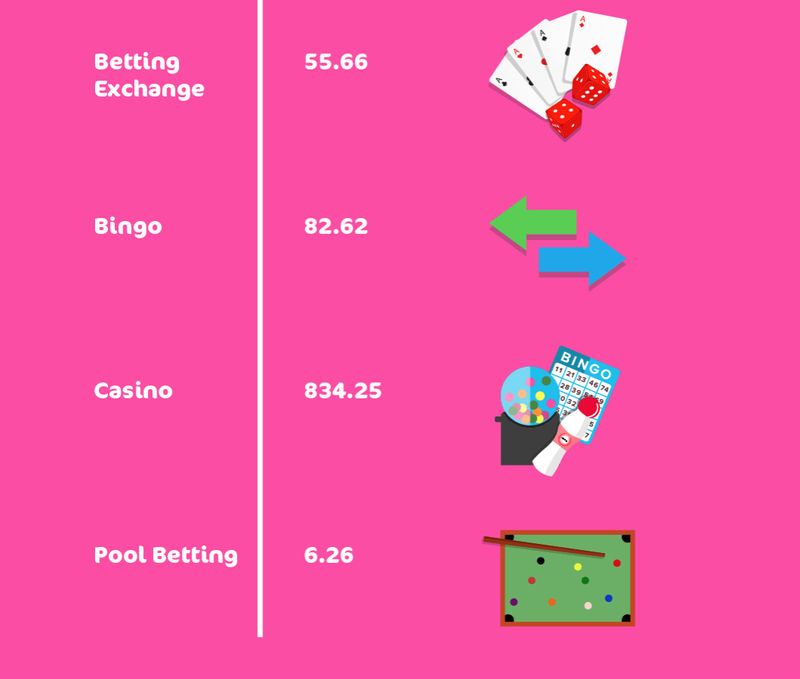 According to Gambling Commission data, bingo currently makes up just under 5.7% of the overall UK remote gambling market (see table below). “Remote gambling” refers to any gambling via remote communication, including the internet, telephone, TV or radio, or any other form of technology which facilitates communication. It seems safe to assume that the Internet (including smartphones) makes up the vast bulk of this market in today’s world. It seems safe to assume (given the aforementioned decline in staffing numbers) that the online marketplace has continued to win market share from the physical bingo halls, as the latter are more labour-intensive (although there may be signs that this will not continue, as previously mentioned). Whether the overall market is increasing, however, is more difficult to decipher from the available data, and data preceding the evolution of the smartphone does not paint as relevant a picture.It seems safe to assume (given the aforementioned decline in staffing numbers) that the online marketplace has continued to win market share from the physical bingo halls, as the latter are more labour-intensive (although there may be signs that this will not continue, as previously mentioned). According to Gambling Commission statistics, the number of licensed operators regulated under the Gambling (Licensing and Advertising) Act of 2014, was 52 in September 2015, up from 49 the previous March, although previous data under the Gambling Act of 2005 is notas comparable since the Gambling (Licensing and Advertising) Act 2014 came into force on 1st November 2014. The Act brought in legal changes, meaning that recent data for the “remote” (online) market can’t be treated as continuous with earlier data. According to “Statista”, UK prize bingo revenue (via bingo halls) reached £24.66m over the year October 2011-September 2012. This compares with online bingo revenues of £76.7m in the year to September 2014 according to Gambling Commission stats. In other words, income from online bingo accounts for around three-quarters of all bingo revenue in the UK today. However, according to “Which Bingo”, annual revenues for online bingo could be far higher, as high as £768m in fact. How many people play online bingo in the UK today? In 2008, market research (via bingosites.me.uk) revealed that just 50,000 people played online bingo in the UK. Today that figure is said to be above 3 million. According to recent studies (UK Bingo.net), there are approximately 100 million worldwide bingo players, four out of five of whom are women aged 30-50 and most of whom are stay at home parents. There is little evidence to suggest that the UK profile alone is any different. The same report suggests that there are 3.5 million online bingo players present in the UK today. Similarly, the Gambling Commission’s Gambling Prevalence Survey of 2010 suggested that 12% of all UK women (compared with 6% of all UK men) played bingo in some form or other. Furthermore, the number of younger players playing in the UK has risen, with those aged under 45 now accounting for 62% of all online bingo players, up from 46% ten years ago (according to (UK Bingo.net). Meanwhile, players aged 18-24 now make up around 20% of the online market. In 2011, industry analysts H2 Gambling Capital said: “now is the time for mobile gambling”. 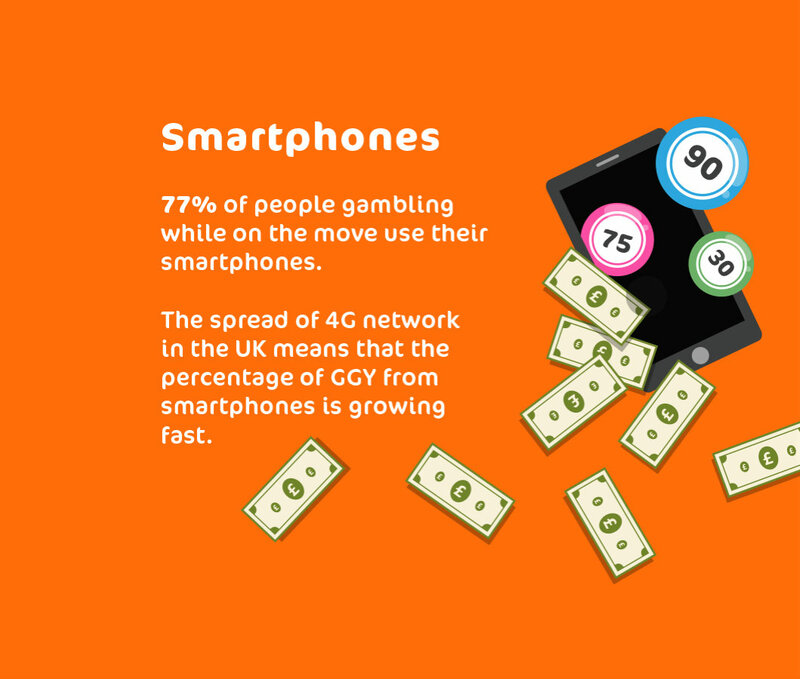 The company estimated that 77% of people gambling while on the move used their smartphone or other handset device for gambling, with 16% using it for gaming and 7% for entering lotteries. Exact figures on bingo-playing via smartphones in the UK are difficult to ascertain. However, one leading player in the industry estimates that the twin factors of the increasing spread of 4G networks in the UK, and general technological improvements mean that the percentage of GGY from smartphones is growing quickly. 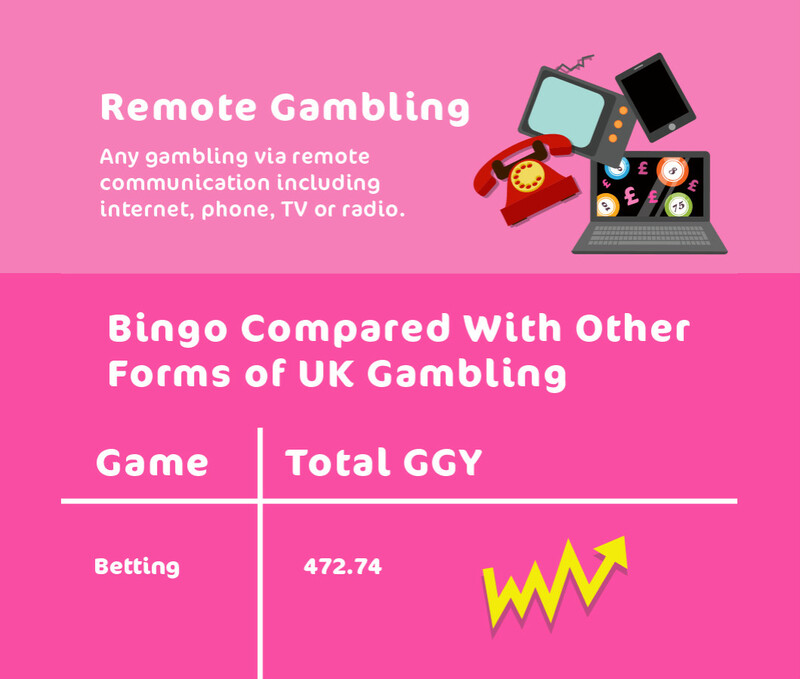 In the year 2014, around 20% of online bingo GGY was generated via mobile devices, whilst expectations are for this figure to have doubled by the time best estimates for 2015 are known. The lack of robust objective data makes analysis of the online industry, in particular, difficult. It is certainly safe to assume that the number playing bingo via their smartphones has grown exponentially over the last couple of years and could now be as high as 1.2 million. 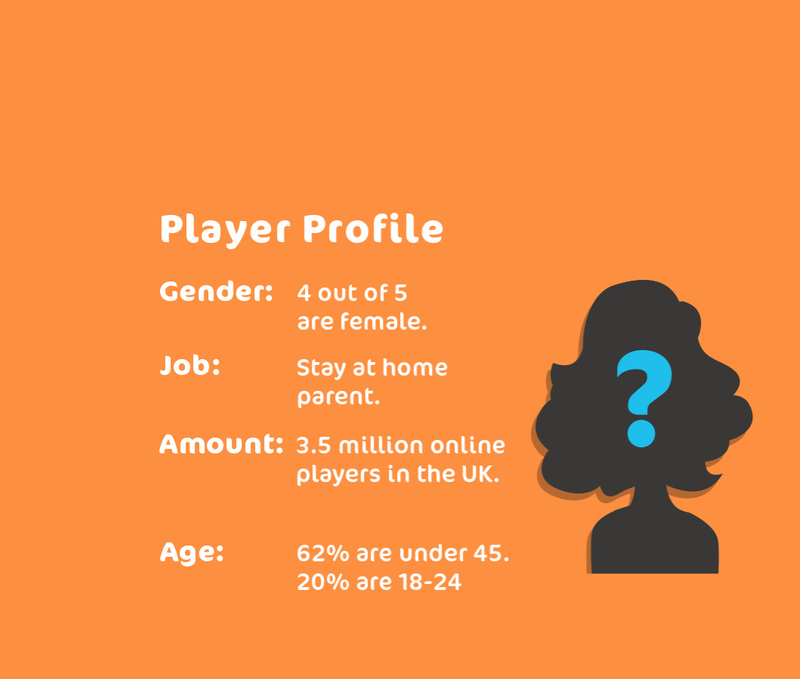 The data also suggests that players are getting younger, although the market continues to be dominated by female players in the 30-50 age range. There are also signs that the numbers attending traditional physical bingo halls, and the revenues thereof, may have “flat-lined” and may increase over the next few years, thanks mainly to a more favourable tax regime. One thing’s for sure: the world of online bingo remains a fiercely competitive one. How big is the online bingo market in the UK? Bingo revenues in th UK: UK bingo revenues from 2009 to 2015, How much is the UK online bingo market worth?